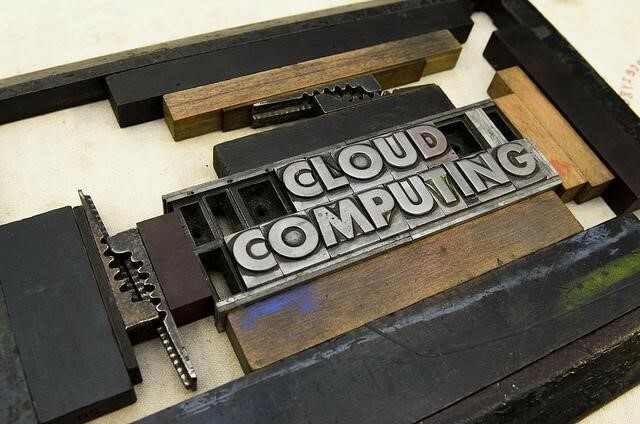 One of the great technological advances of recent times is how far we’ve come in cloud computing. Once businesses would have had to store all their software and information on physical servers and other hardware. But now that’s not necessary. In simple terms, cloud computing is computing that’s internet-based. There are many benefits to businesses that use cloud computing services, instead of having to store all their information in-house. The popularity of cloud computing for SMEs in particular is growing. It’s a solution that can save money and space, as well as having many other benefits. If you run or are thinking about setting up a business, consider these reasons for using cloud computing. If your business is storing all its data in-house, on your own servers and other equipment, then it can be a disaster when you need more from your current set-up. You might not have the money or the time to update your system and expand it to meet your needs. But with cloud computing, as soon as you need more bandwidth or memory, you only need to ask, and it’s provided. 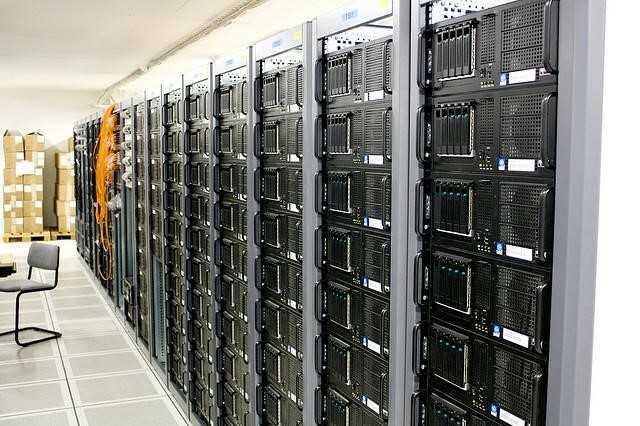 The cloud computing service can immediately accommodate you on its large and powerful servers. It’s easy to scale your business up or down quickly when you don’t have any large servers to manage. One of the computing issues that can cause big problems for businesses is the loss of data and attempting disaster recovery. Using cloud service providers such as Little Fish IT Services, you can use cloud computing for backup and recovery purposes. These services can take care of any issues that may occur that could result in a loss of data or another problem. On top of solving problems for you, they often do it faster than in-house IT services. Minimizing your downtime will save you money and help to stop your from losing money on a lengthy time spent out of commission. A benefit of hosting all your software on the internet is that it will automatically update from your cloud service. There’s no need to waste time on maintaining computer systems, including security updates, when a cloud service can do everything for you. In the UK, businesses spend an average of 18 days each month just managing the security of their servers and IT systems. So by using a cloud service you can save plenty of time for other tasks and reduce the risk of problems related to out-of-date software. It costs a lot in up-front costs to invest in servers for your business, but that problem is eliminated with cloud computing. They tend to be pay-as-you-go services, often with monthly subscriptions. So there’s no capital expenditure involved. This makes it easier to set up a business because it reduces startup costs. It also means you don’t have to spend any money maintaining servers, because the cloud service takes care of that for you. You can reduce the amount you spend on IT experts, without any equipment on site that needs caring for, and you might be able to reduce your energy costs. Cloud computing makes it much easier for employees to access their work whenever and wherever they are. They can sync devices and use applications to stay connected to their work. The ability to do this increases collaboration between employees and enables them to receive instructions more quickly. They can also give a more detailed and accurate picture of their work process, and both send and receive information in real time. Being able to work from anywhere is another huge bonus. It can help to increase employees’ work-life balance and could even save businesses money by having employees work remotely full or part-time. It’s also excellent if your business works with clients or employees abroad. The only barrier to overcome is time zones when you can all easily access the same work. Cloud services make it much easier to share documents and for people to work on the same documents at the same time. Without the cloud, collaborating on documents would involve emailing back and forth. This is a time-consuming and sometimes confusing way to communicate. When documents are accessible online, there’s no need to make a change to a document, email it, wait for the other person to see it and make any changes, and so on. More than one person can work on a number of documents at the same time, without needing to keep saving different versions. Everyone can work from the same copy, making the process much easier. Now that it’s so common for people to travel with laptops and tablets, it can be dangerous to have important files stored on your computer. Hundreds of thousands of laptops are lost each year. You don’t want to misplace something with important and private information on it. With a cloud service, there’s no need to worry about that. Nothing is stored on the computer, so it can’t fall into the wrong hands. Cloud technology helps businesses to go up against their competitors. It gives them access to high-class technology. This fast and secure technology can make a business more efficient, successful and profitable than other companies. For example, not using cloud services for backup and disaster recovery can make companies significantly less efficient. Consumers are becoming increasingly concerned with how green businesses are. If you’re striving to be more environmentally friendly, using a cloud service is a better option. When you take advantage of cloud computing, you only use the service space that you need, so you reduce your carbon footprint. It could even help to cut down on paper use as sharing documents online could reduce the need for printing things. If you’re thinking about starting a business, cloud computing can help to save you a lot of money and start you off on the right foot. And if you already run a business but don’t use a cloud service, it might be time to make the switch.